Well, there you go. 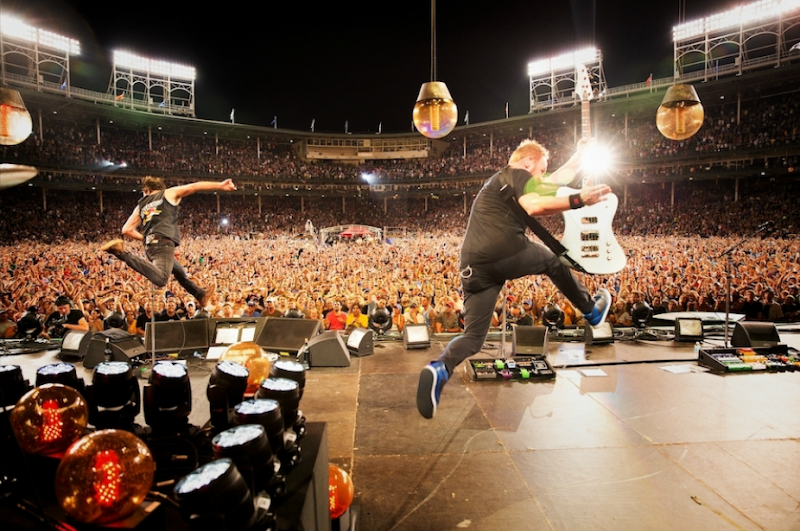 We have confirmation that Pearl Jam has been playing on the roof of Murphy's Bleachers in Chicago, yes, that is Danny Clinch recording it. Keep your eyes out for a setlist soon! 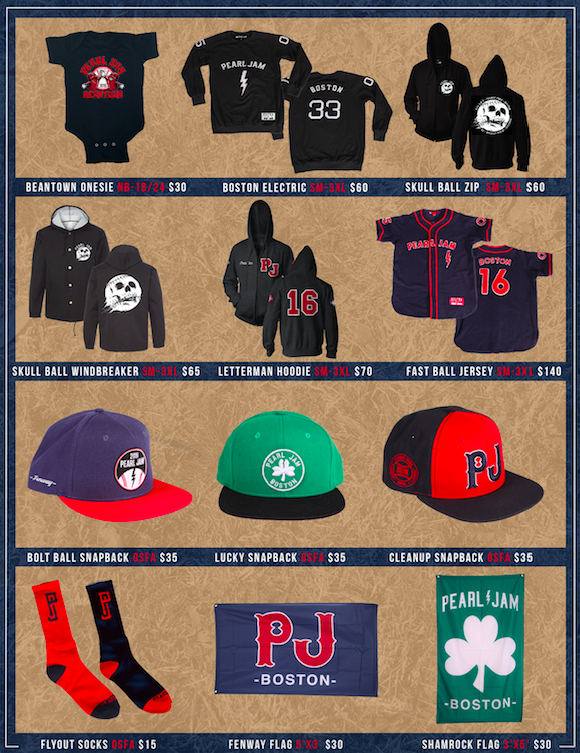 Pearl Jam has posted their Wrigley merchandise and prices. The collection includes more than 30 new items plus a few Chicago+Fenway items that were introduced prior to the Fenway show. 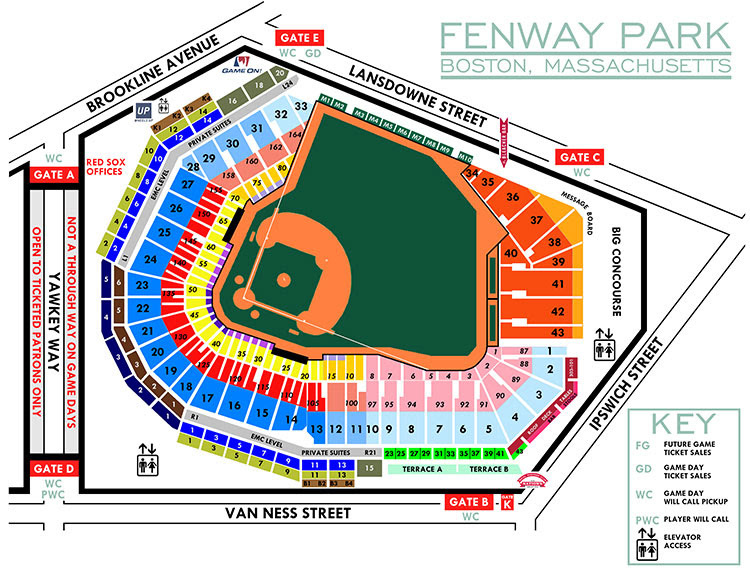 Stands will be open all week around the stadium to accommodate early purchases. The schedule and locations are posted below. 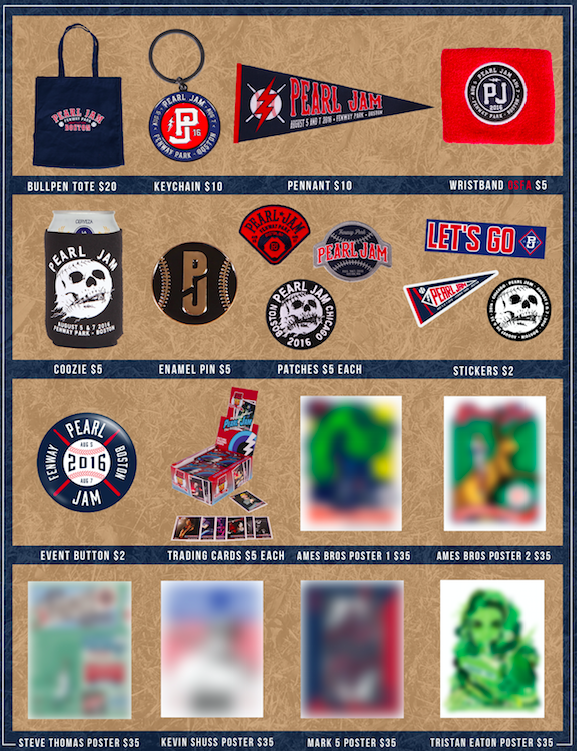 Pearl Jam also announced the poster artists. Even though the posters are still a secret, you can check out the artists' other work on their websites. 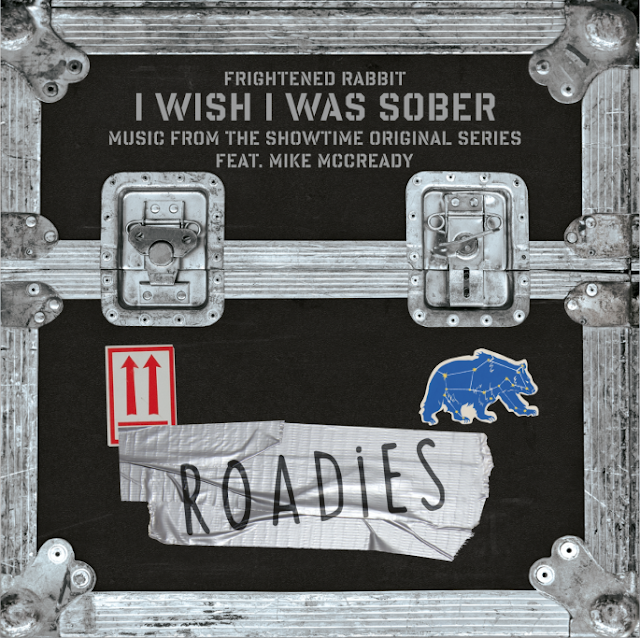 Those of you waiting to hear Frightened Rabbit and Mike McCready's I Wish I Was Sober and Ed's live performance of Man of the Hour from the Showtime show Roadies will soon be satisfied. The soundtrack from season 1 of Cameron Crowe's show will be available via iTunes and on CD starting August 26th. 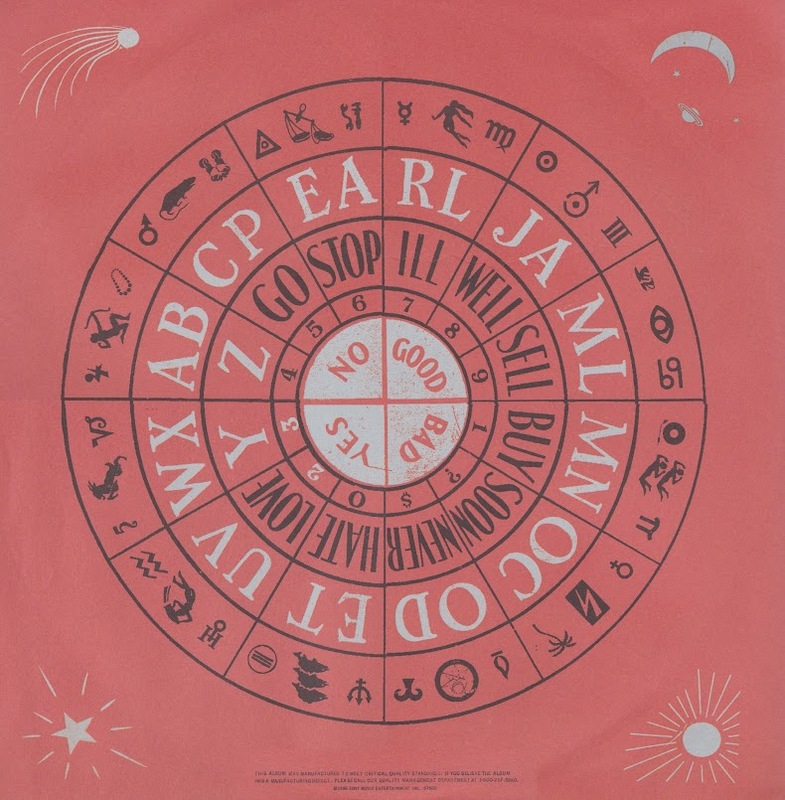 If you're somehow interested in music by non-Pearl Jam artists, here is the tracklisting. 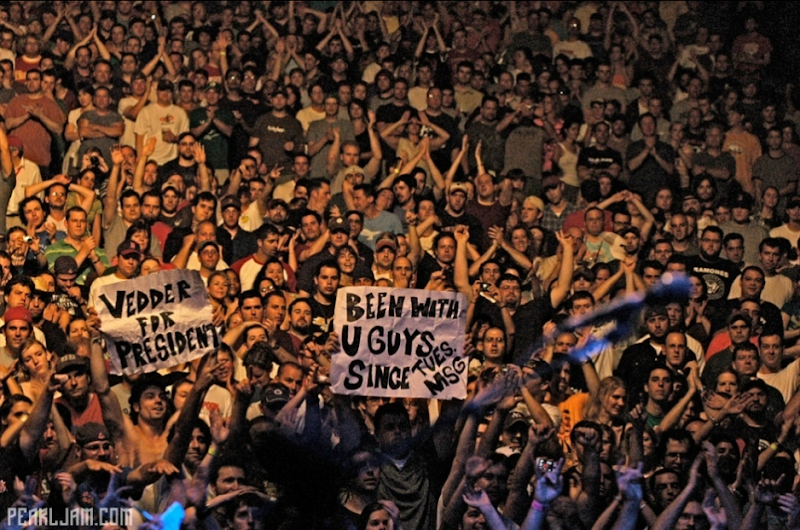 Inside the Rock Poster Frame has uncovered a rare non-show Pearl Jam poster opportunity. Better move fast. There are 60 posters up for grabs. Brian Methe released a new 2 color 18x24 inch screen print, "Eddie for President". There will be a regular edition of 40 prints and a foil variant of 20. Regular edition is $30 and foil is $75, shipping is included in the price. Simon Townshend has announced that he will be reissuing a remastered version of his 2012 album, Looking Out Looking In in October. 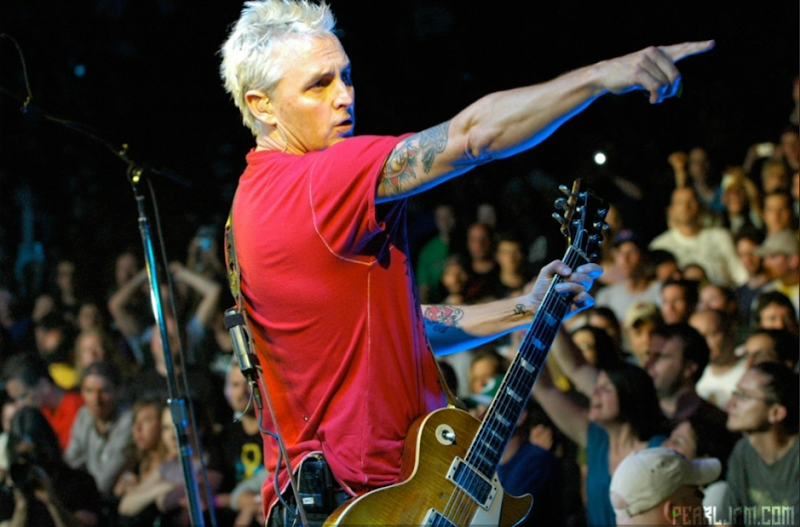 The reissue will feature "liner notes by AND bonus tracks with Eddie Vedder," although what those tracks are has yet to be announced. He will also be celebrating with a show at The Islington on September 30th. There's no mention of Ed making an appearance there, but hey ... he's not going to be playing anywhere else that night. 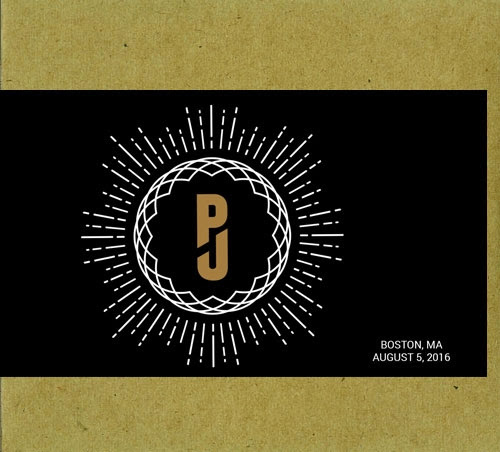 If you're tired of hunting and trading bootlegs in an attempt to collected all 72 bootlegs from the 2000 Pearl Jam tour, life just got a little bit easier. 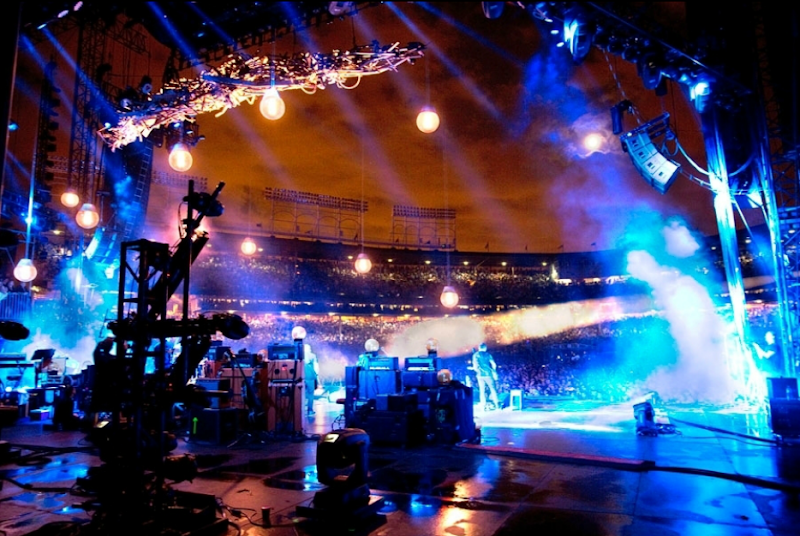 As part of their webpage revamp, Pearl Jam has added the 2000 world tour to their on-demand CD and digital bootleg service. 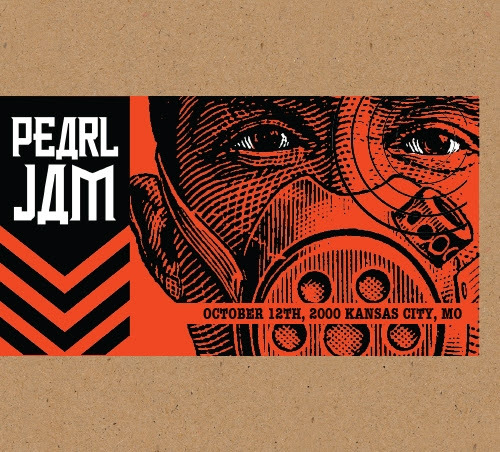 All 72, previously out-of-print, shows have been added to Pearl Jam's website. The Ten Club has announced that there will be a limited reissue of Mother Love Bone's music, spanning their full career. It will be available in two formats a 3-LP set including the Shine EP and Apple LP or a 3-CD/1-DVD set including Shine, Apple, and 2 CDs worth of b-sides and alternative takes. Both versions come with new artwork by Jeff Ament, contain a booklet with lyrics, credits, and rare photos, and are available for pre-purchase now with delivery expected this fall. 24 page booklet - lyrics, credits, and rare photos 12" x 12" Envelope containing photo prints, 24 page zine, fold out poster, stencil and more! A very limited number of randomly selected vinyl box set packages will receive a rare Happy Holidays greeting card signed by each member of Mother Love Bone. These cards were uncovered from the Mother Love Bone / Love Co. deep archives. 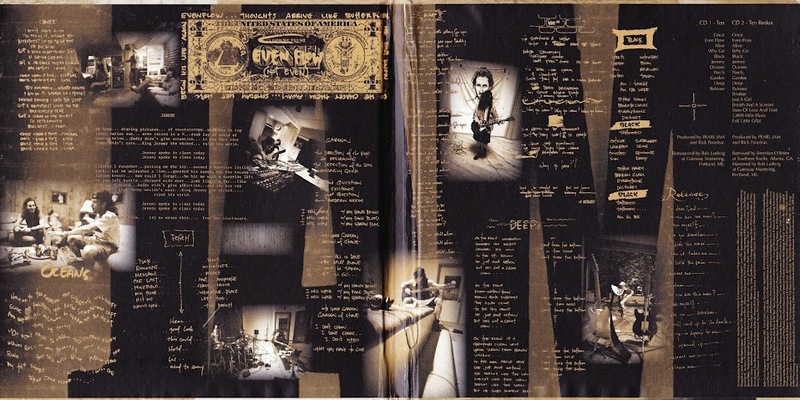 Over 20 recordings that include rare B-sides, demos, alternative versions, and unreleased songs including Andrew Woods demo recording of Chloe Dancer and a live version of Stardog Champion featuring Chris Cornell and Pearl Jam. 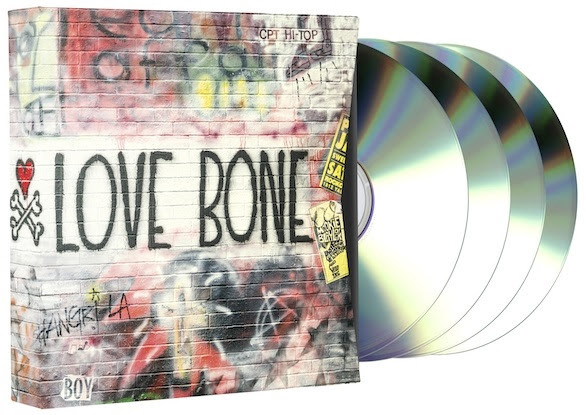 Love Bone Earth Affair DVD - available for the first time on DVD and includes bonus features of rare unseen live Mother Love Bone performances and more! 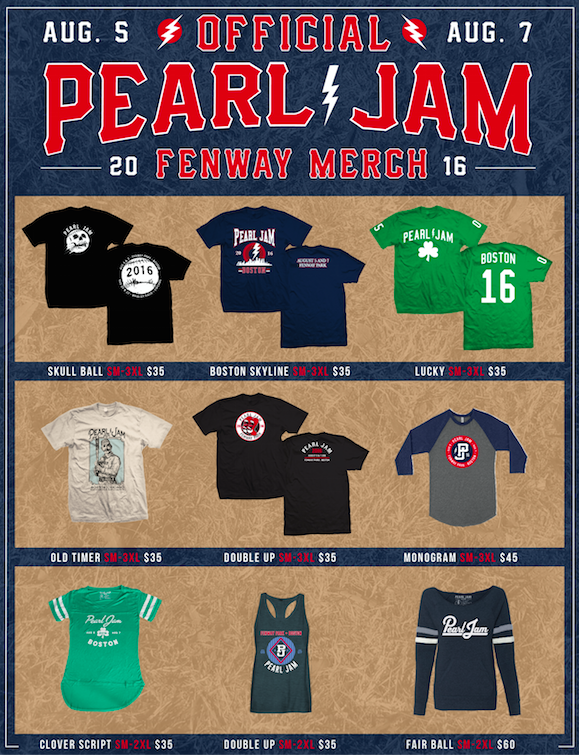 Pearl Jam has posted their Fenway merchandise and prices. The collection includes 41 separate items (100 if you include individual trading cards, of which their are 60). 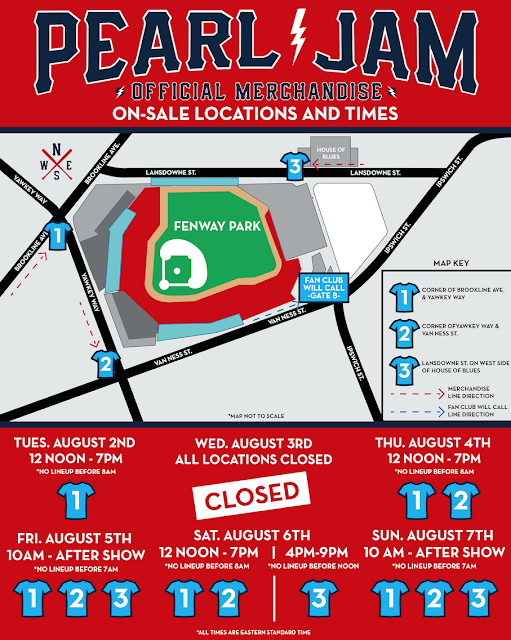 Stands will be open all week around the stadium to accommodate early purchases. The schedule and locations are posted below. A quick update from the weekend, ... two Temple of the Dog shows have been added to the schedule for this fall. 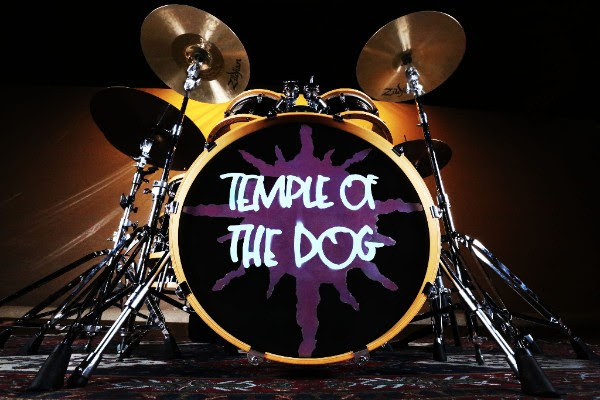 Due to popular demand, a second Seattle and San Francisco Temple of the Dog show has just been added! Note: Due to time constraints there will not be a fan club pre-sale for this added show date.